​Sure, you can lose weight following a strict diet, but the research shows you’ll gain it all back (and more). Read this page and you’ll discover how you can indulge in delicious desserts like those pictured above that will help you lose weight AND keep it off better than “deprivation dieting”… Not to mention it’s a lot more yummy and fun! 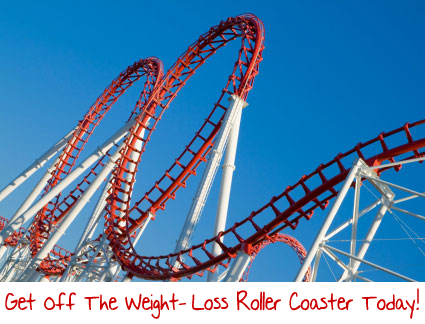 ​Do you find it impossible to avoid all the tasty treats you love when you’re trying to lose weight? ​My name is Helen. And I’m a chocoholic. ​Foods You Love As Much As I Do? ​And I was extra happy because I’d found my go-to treat that would satisfy my cravings without sabotaging my diet! ​These cookies also served as handy snacks I took when running wedding errands and didn’t want to stop for something that was sure to sabotage my fat loss goals. If you've Ever Beat Yourself Up For Falling Off A Deprivation Diet, STOP Because IT's NOT YOUR FAULT! ​NOTE: Just so you can be sure I’m not just making this up, here’s a link to the study to read for yourself. ​They were really, really, REALLY yummy! ​I made so many desserts that we had to give them away to family and friends – not that they minded. 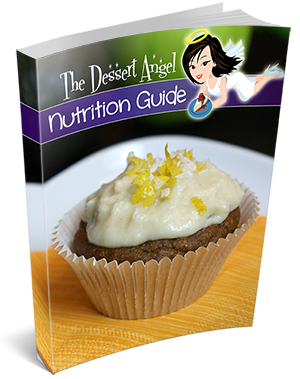 Component #2: ​The Dessert Angel’s ​Guide to Losing Weight… And Keeping It Off! 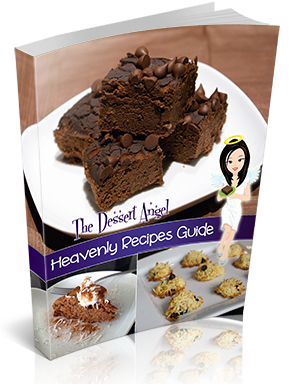 ​The Dessert Angel’s 5 Tips for Delicious Dieting – After you discover my 5 Tips for Delicious Dieting, you’ll never have to suffer on a “deprivation diet” again! ​​​​​​​The 6 Deadly SINgredients – Every typical dessert and even most “healthy” desserts contain at least 2 of the SINgredients… SINgredients sap your energy, screw up your hormones and sabotage your diet to make it impossible to lose weight… Worst of all is that even some ‘healthy’ desserts and treats have these ingredients too! Once you’ve identified the SINgredients, you’ll never sabotage your diet or physique again. 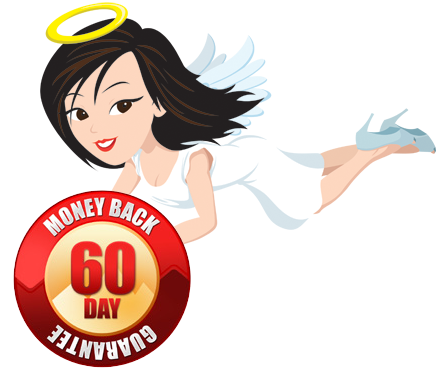 ​The Dessert Angel’s Divine Ingredients – These ingredients not only make yummy desserts but also help you slim down, contribute to hormone balance, keep you young and give you boundless energy. 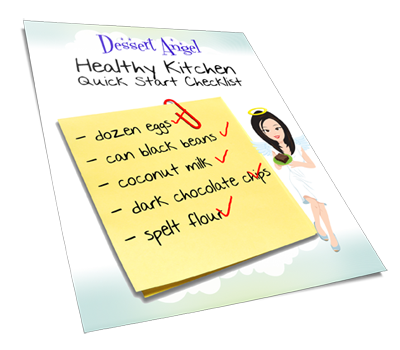 Each and every Dessert Angel recipe contains some of the Divine Ingredients and NONE of the SINgredients. ​I have a close friend who is a very emotional eater. We had not seen each other for a while and she contacted me a while back to start training because she worked 3 jobs and only knew 1 crazy person who exercised in abnormal hours ( Me ) lol. ​I made the brownies while my hubby worked hard on the yard. I did this so he would not see me putting the good ingredients in the mix. lol They were all baked and ready to try when he came in from being out working. He looked surprised that I made sweets since that was off my list for several years now. When I encouraged him to eat one he really looked surprised, baffled. He thought they were yummy and ate, I must say, two or was it three. So, they past with flying colors so I took it to our home group from church. I did tell a couple of ladies that they were made from black beans and no flour. Shocked as they continued to eat and then sheepishly took seconds. Nice! Love the book. ​These receipes were amazing! They were easy to make & I loved thes fact that all nutritional information was there in black & white plus as I’m gluten intokerant & lactose intolerant I had a number of receipes to choose from, thank you. ​It is an understatement to say that my wife has a sweet tooth. Background: She is a fitness competitor and has to be on a strict diet for her “prep to competition day” which lasts a gruelling 3 months. The last time she competed in 2010 she came off her diet and binged so bad that she gained 35 pounds in a month and half. She said she could literally feel her skin stretching like the incredible hulk! To make a long story short, after the latest competition I made her the ‘Belly Fat Burning Brownies’ and the ‘Reese’s Doughnut Holes’ and she LOVED them. It has been just over a month and she has been able to keep her weight down where it needs to be by eating your confections on her cheat days. Thank you, Dessert Angel, for saving our fitness lifestyle! ​A big thank you for your delicious recipes. My clients and myself are always looking for that special treat that doesn’t undo everything we have been training for. A naughty but nice as in delicious treats that are quick and simple to make and put a smile on our families faces without knowing how healthy they are compared to the sugary rubbish out there these day that everyone is hooked on. Even my two cute puppies line up on either side of my lap hoping to score a crumb! 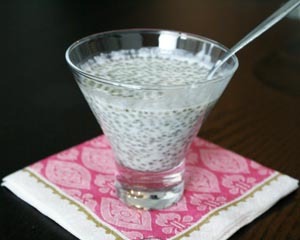 ​I tried a lot of recipe from the book and i was amazed with the taste, so was my husband! of course, the kidos were skeptical, but they did like the heart shaped cookies and the fabulous chocolate cream pie (well the crust at least!) i am a chocoholic and i have a big sweet tooth, but with these recipe, i’m learning to set aside those sin ingredient and i’m more aware to what to look for when I want to cook healthier dessert (and i started to tweaked the recipe that i already have, and it’s working pretty well so far, unbeilivable what they call healthy and it’s really not!). it would be awesome to expand my choice of healthy dessert for the whole family! thanks dessert angel for the marvelous recipe. ​Hi Helen, my whole family love their desserts. I was sent the brownies recipe by email and thought I’d give them a go. I had to sneak into the kitchen and make them without my children seeing what was in them Because they look so chocolatey they didn’t even question what was in them. Well, they’re a hit and and at last I have a beautiful tasty, chocolatey treat that doesn’t make me feel guilty when giving it to them. I can’t wait to get stuck into your other recipes to see how my kids like them (especially your chocolate pie). I’ve been looking for sugar free recipes for muffins etc, so your recipe collection has come at a great time. Thank you! ​The biggest critic – when it comes to food- is my little daughter, who is very picky and fuzzy – quite the opposite to my lovely hubby, who always tells me how great my food taste (even if it doesnt). But the one thing they have in common: both LOVE dessert. When I started trying your recipes I didnt tell anyone about the ingredients as I just wanted to see what they have to say first. So I was making little batches of the cookies in your recipes book- they both really liked it! When I made the ice cream – they both loved it! And when I baked the chocolate cake they both were standing in front of the oven, asking every few minutes, “Is it ready yet?” When we’d finally cut the cake to try it – it was an absolute HIT! They ate the whole thing until there was only one piece left, so I put it aside for later. Unfortunately later (when I sneaked back to have it myself) it was gone! This night, when I put my daughter to bed and kissed her good night, I noticed her secretly chewing something – when I lifted her pillow up – there was the missing piece of chocolade cake! It made me laugh and very happy to see, that we all love your food and the interesting thing is, my daughter prefers your dessert then any other sweets – she would take a few bites but then put the cookies down, while she always finishes the desserts I am making from your recipe books! Thank you! ​P.S. Remember, with my 100% Money Back Guarantee, I’m giving you 60 days to try the recipes out for yourself. Once you do, you’ll never have to suffer on a boring “deprivation diet” again. Click Here To Grab It RISK-FREE Today. ​Please Note: These are downloadable ebooks. You will NOT receive a physical package shipped to you in the mail. 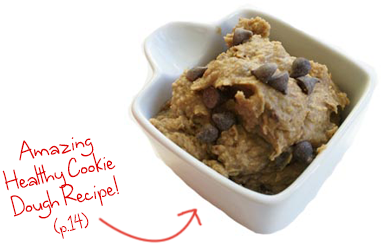 That way – you’ll get them immediately and can start making yummy, healthy desserts right away! Plus you’re saving trees so it’s good for the environment. This program is NOT available in stores, and you can only access it through this website. Copyright © 2019 by TheDessertAngel.com All rights reserved.